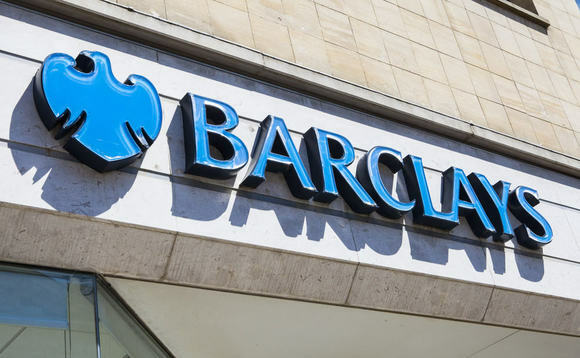 Some customers that have migrated to Barclays’ online investment platform Smart Investor have complained of delays in receiving their dividends, the bank has confirmed to International Investment. Financial Times reported yesterday that investors in 11 companies including BP, Lloyds Banking Group and Imperial Brands “have been waiting since September for overdue dividend payments, and may not receive these for a further eight days because of problems with the site’s overhaul”. The newspaper added that in some cases “glitches” had forced private investors with shares in some of the FTSE’s biggest income stocks to “wait weeks for dividend payments to arrive”. However, the bank told International Investment that the average delay in payments was around three days. A Barclays spokesperson said, “This was a short-term issue linked to a small number of stocks where the ex-div date fell before our customers were moved from Barclays Stockbrokers to Smart Investor, but the pay-date came afterwards. “The last of the affected stocks has a pay-date of 12 October. We have been paying dividends as quickly as possible on the affected stocks but recognise in some instances customers have waited longer than we would ideally like. The delays have come since some 200,000 Barclays stockbroking customers were migrated across to the new platform over the August bank holiday weekend, with someone else within the company telling us that the technical glitches referred to in Financial Times‘s report were, in fact, better characterised as “minor teething problems”. Ironically, the source added, one of the benefits of Smart Investor is that allows for “tighter dividend payment timeframes that we had on Stockbrokers”. Going forward, claimed the source, in the “vast majority” of cases, the bank will be able to make dividend payments to its customers on the of day payment. The source added that some of the other stocks cited had not actually hit their pay-date yet so it was wrong to say they were being paid late. Meanwhile, Financial Times stood by its report, and quoted from readers who had taken to their message boards to complain about Smart Investor and Barclays, though there are no metrics so this is by its nature anecdotal. The newspaper said that others were demanding compensation for the “inconvenience and missed income from the inability to reinvest dividends”. “I am demanding compensation for at least 50 per cent of the value of my dividends to be compensated and think there should at least be a penalty for this stress too,” said another affected reader. US-style class actions were made theoretically possible by the Consumer Rights Act 2015, though a significant case of this king against a financial services provider has yet to take place. In July of this year, a £14bn class-action lawsuit against MasterCard for allegedly overcharging more than 45 million people in Britain over a 16-year period was blocked by a British court. The Guardian reported at the time that the competition appeal tribunal (CAT), a newly empowered court that oversees Britain’s fledgling class action regime, ruled that it would not grant the necessary collective proceedings order for the case to continue to trial. “Had it been allowed to proceed,” said the newspaper, the case would have been the “largest and most complex in British legal history” and would have tested the limits of the new Consumer Rights Act. The Financial Conduct Authority declined to comment on the case.